Inspired by the beauty of the colors and objects in the skies above, Celest Michelotti seeks to find colored gems, and golden and silvery textures that evoke the natural beauty of the cosmos in her jewelry, bringing you a piece of the sky for your adornment. Although a classically trained pianist, the metal “in her genes” demanded expression—her grandfather, father, and brother have all worked with metals in a diversity of fields. 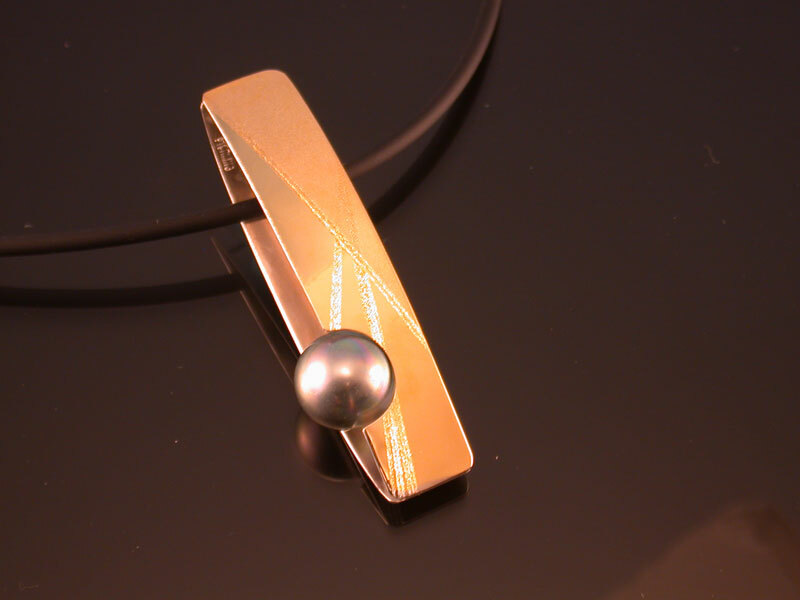 Following two weeks as NASA’s guest at Kennedy Space Center, Celest began her metals career with her award winning “Echoes from the Future” Series. 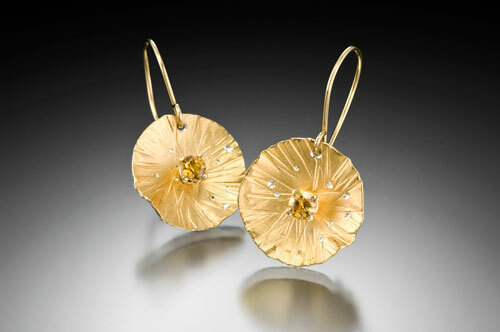 Working in lush, 22K gold, Celest creates her elegant, contemporary forms by both fabricating and casting. 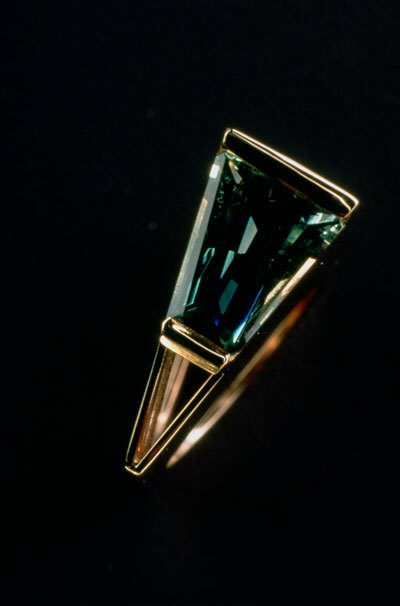 Her trademark finishes are achieved with multi-layered surface techniques developed over time--a look unique to her work, her process, and her subsequent success as an artist. Celest interprets the myriad blues and purples of the skies in twinkling, faceted apatite, aquamarine, blue zircon, tanzanite, and Russian amethyst; the rainbow of rich sunset reds, golds, and oranges in rubies, Mozanbique and rhodolite garnets, Madiera citrine, and sphene; and the soft, cloud-like colors of nebulas echoed in Ethiopian and Peruvian opal, and lavendar amethyst. 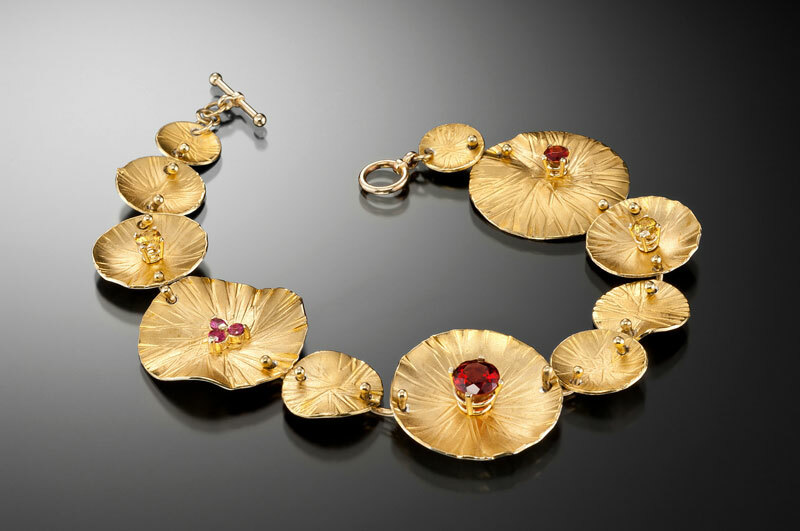 To add to her previous national and international awards and recognition, Celest garned a coveted finalist position in 2012 in the prestigious NICHE Awards Competition with her "Nova 2 Reversible Bracelet" in the "Sculpture to Wear" category of the professional division. 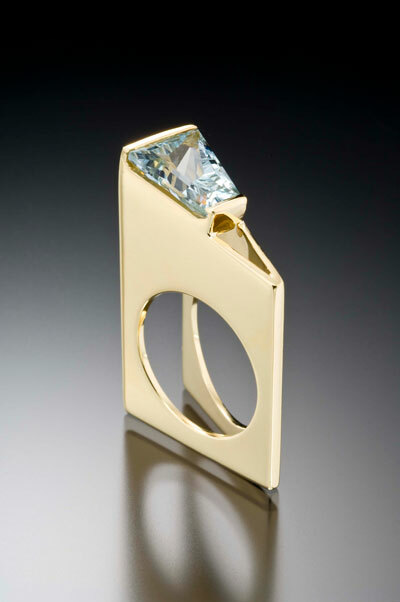 The NICHE Awards recognize excellence and innovation annually in North American craft. Her designs were judged to be excellent in surface design and form, and a distinct quality of unique, original and creative thought. 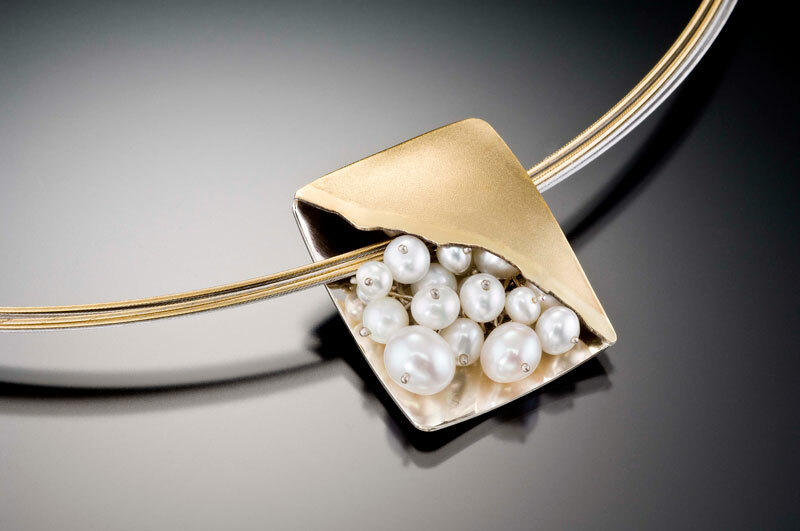 Her designs continue to garner National acclaim, including selection by the Society of American Goldsmith’s International Pearl Design Competition. 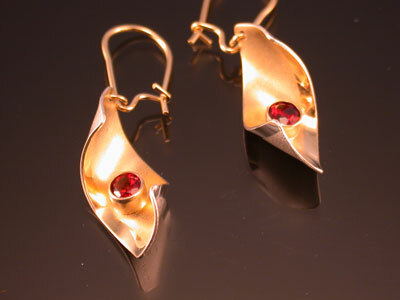 Her jewelry is pictured in American Craft and Ornament Magazines and is carried in galleries across the country.